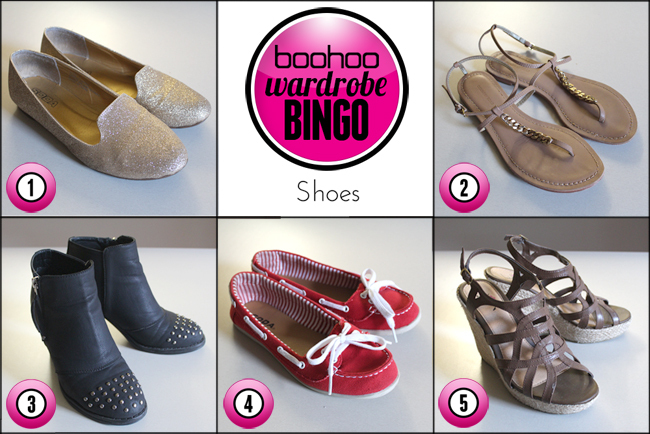 About a month ago, I was invited by Boohoo to participate in their fashion game called 'Wardrobe Bingo'. Of course I accepted the challenge, but due to exams, travels and procrastination, I haven't had a chance to play the game, until now! 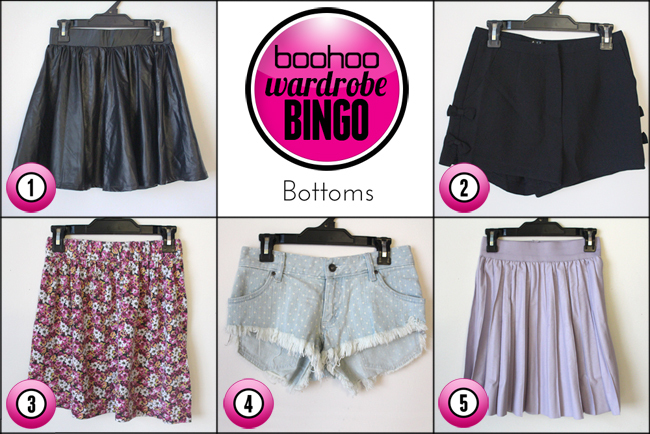 The concept is quite simple; pick out 5 items of clothing for each section of your body (tops, bottoms, shoes & accessories), label them 1-5, then use a random number generator to get your final outfit. Hmmm, this could end quite badly..! The first step of the game is to introduce yourself to any new readers that may not know you. So. 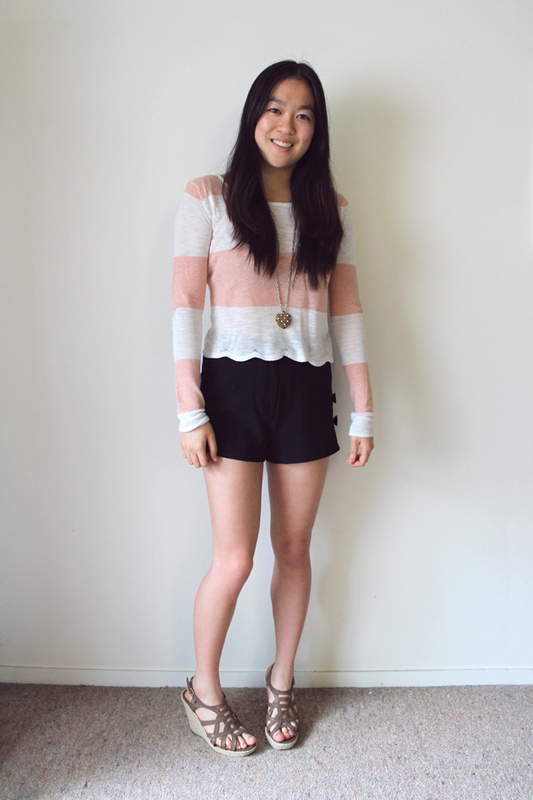 Hi there, I'm Helena; currently a student living in Auckland, New Zealand. I have two goldfish named Hugo & Ruby. I am definitely not a morning person, which leads to forever running late for class/life. I love peanut butter, coffee dates, bows, clearance sales, summer nights and all things pastel coloured.I hate messy kitchens, writing lab reports, grumpy bus drivers and leggings worn as pants. 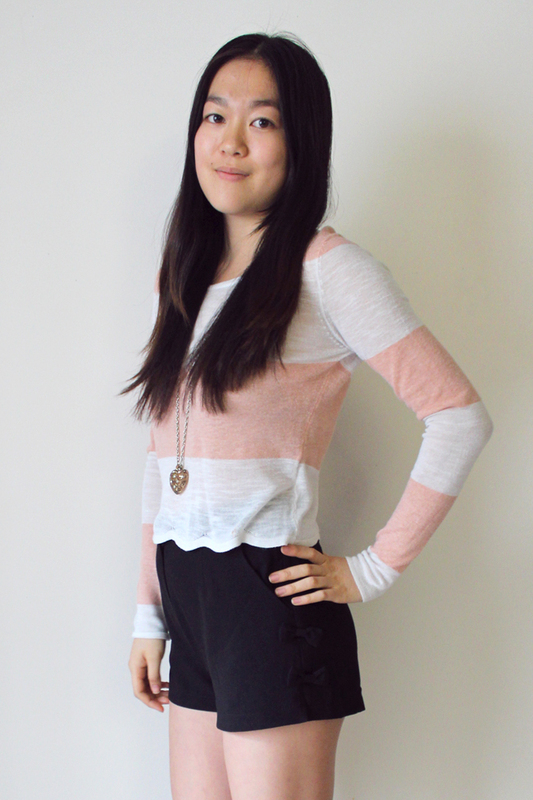 And here's the resulting outfit! This outfit definitely isn't one I would've put together myself; I would have never thought to pair this top with my leather skirt! But I kind of like the contrast of the innocent child-like print with an edgy skirt, and my studded booties definitely add to that contrast. The beret is also another item I wouldn't have normally worn with this outfit, but it adds a sweet touch and ties in nicely with the other black pieces. Add a few bracelets, maybe a belt, and I would actually be prepared to step out the door wearing this look! I love how this one turned out; it's definitely something I would wear if the weather was warmer (only three more weeks until spring! ❤). All the pieces make me look extra tall, which is great for a shorty such as myself. The high waisted shorts paired with my favourite summer wedges really elongate my legs, and this shorter top also helps with that. Lastly, my long chain necklace streamlines the whole look and adds a nice finishing touch. 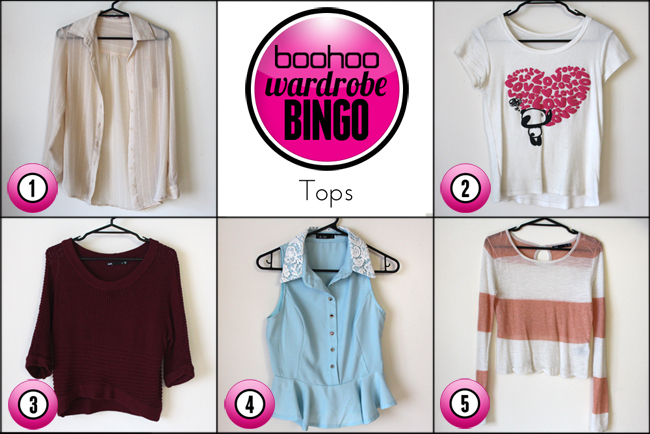 This game was so much fun to play and I'm really glad Boohoo invited me to participate. I definitely recommend giving this a go if you're like me and have a wardrobe full of clothes, but constantly feel like you have nothing to wear. 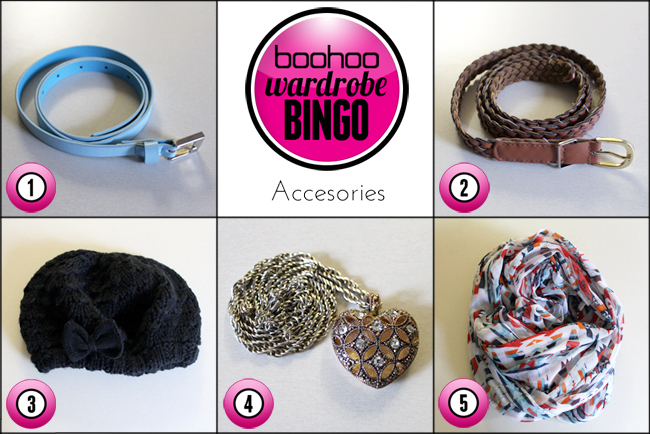 It's a great way to discover awesome new outfits and re-purpose old pieces you've forgotten about. This is a great idea! I can't wait until Spring - the second outfit is truly perfect for it!